Extremely clean and well kept. Very nice and helpful staff. Not the most modern, but everything was in order and for the off season price it was great. The food is good and the variety is perfect. The location of the hotel is also very good, walking distance to the castle on the hill and downtown, next to the sea. The pool is big enough for the number of rooms. Kitchen is well equiped unless a small frige. Facilities and intertainment for kids. Excellent breakfast choice and the room facilities were of a high standard. Location was ideal for the beach, pool (indoor and exterior) and excursions around the island (we rented a car from the airport). The staff were very friendly and helpful. The entertainment in the evenings was an unexpected bonus and was family friendly. Excellent hotel, perfect location and room standard. 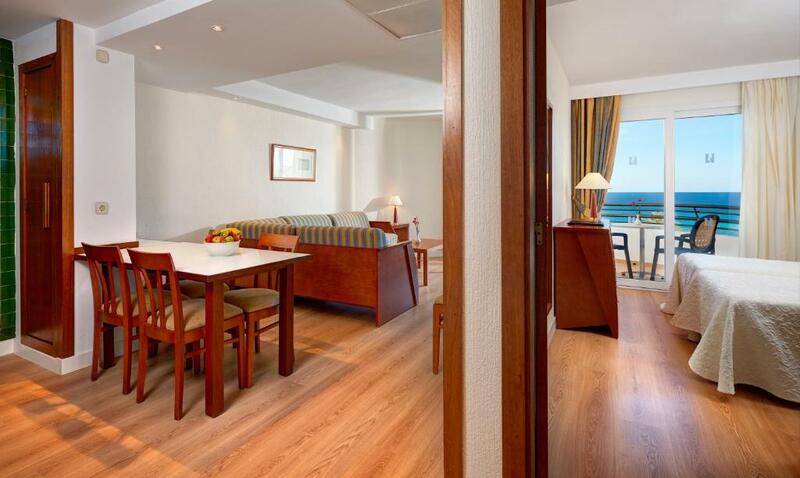 Lock in a great price for Hipotels Dunas Aparthotel – rated 8.8 by recent guests! Hipotels Dunas Aparthotel This rating is a reflection of how the property compares to the industry standard when it comes to price, facilities and services available. It's based on a self-evaluation by the property. Use this rating to help choose your stay! This modern aparthotel offers comfortable rooms with views of the Mediterranean Sea. The Hipotels Dunas Aparthotel has an indoor and outdoor swimming pool and a gym. Wi-Fi is a available for a surcharge. 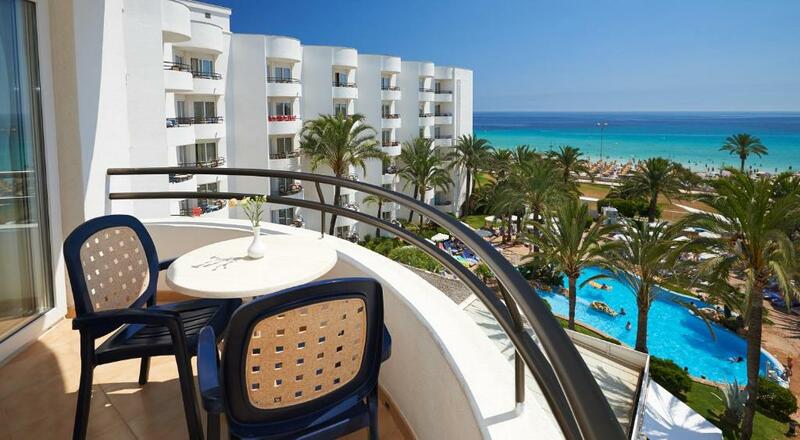 The Hipotels Dunas is located in the resort of Cala Millor in the East of Mallorca. It is only yards from the beach. There is a large outdoor pool for adults and a kids pool. The indoor pool measures 92 ft² and is fully heated. A children’s playground is also available. The hotel has a sauna and hot tub. Spa services are available at an additional cost. These include a Turkish bath, Vichy shower and beauty and massage treatments. The Dunas Aparthotel’s bar-cafeteria offers snacks and à la carte meals on the terrace overlooking the swimming pool. There is also a continental buffet restaurant. Other useful services include bicycle and car rental and currency exchange. There is also a self-service launderette. 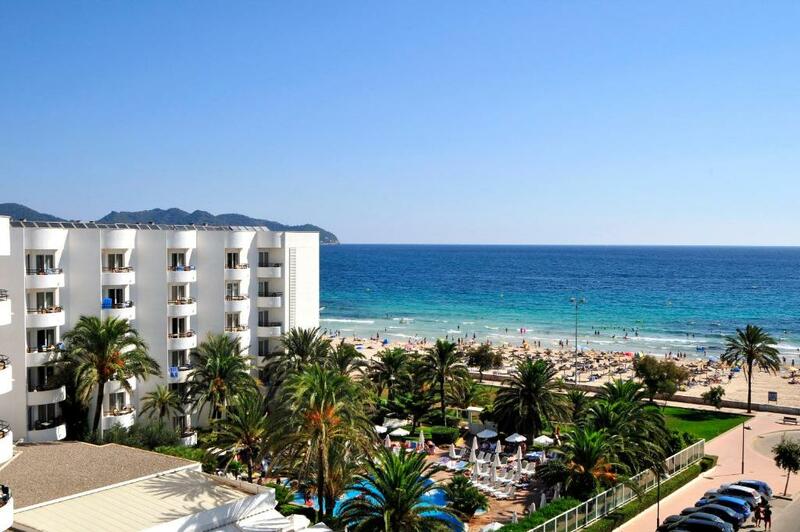 뀐 Located in the top-rated area in Cala Millor, this property has an excellent location score of 8.9! When would you like to stay at Hipotels Dunas Aparthotel? 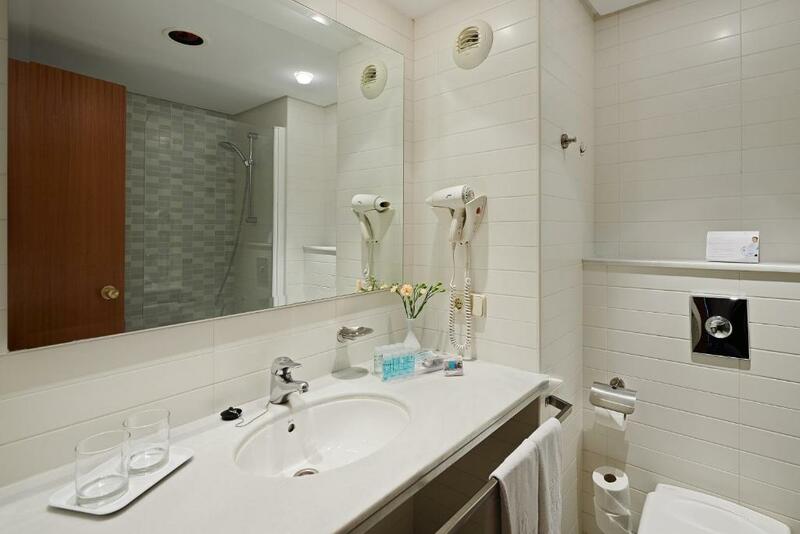 This apartment offers 1 bedroom, a balcony or terrace and a private bathroom with a shower and hairdryer. 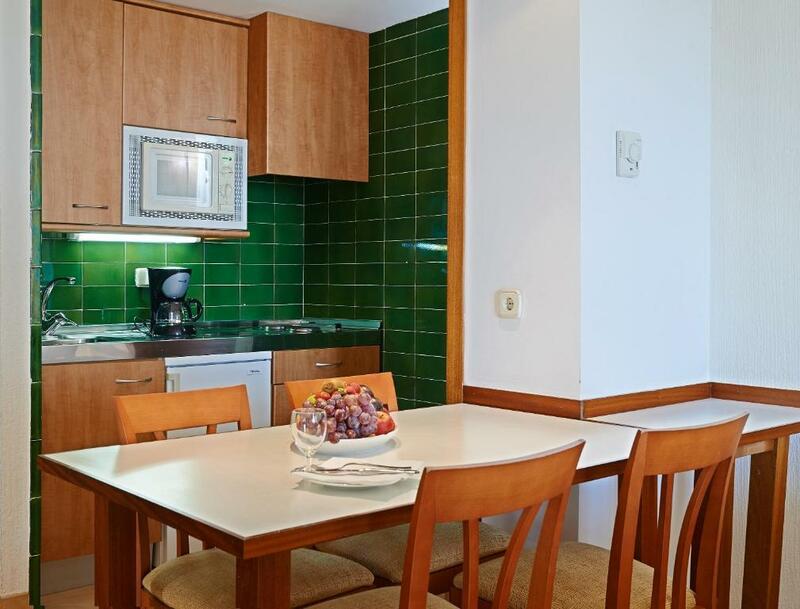 The living area includes satellite TV, while the kitchenette features a coffee maker, microwave and toaster. 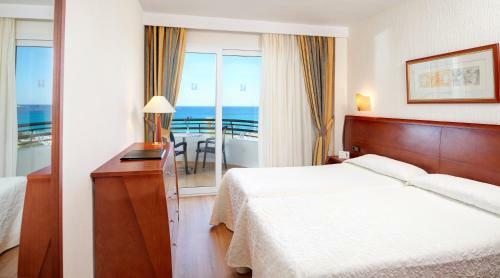 Hipotels Dunas es un Aparthotel ideal para familias. Al estar situado en primera línea de mar, los podréis disfrutar de piscina y playa en cualquier momento del día, dar largos paseos por la orilla o ir de compras en la avenida principal de Cala Millor, llena de tiendas y boutiques. WiFi is available in public areas and costs EUR 2 per hour. House Rules Hipotels Dunas Aparthotel takes special requests – add in the next step! Hipotels Dunas Aparthotel accepts these cards and reserves the right to temporarily hold an amount prior to arrival. Gym facilities could be better. Booked here very last minute, when we got there we was told it was over booked but they had booked us into sister hotel ,mediterrano club in sa coma. This was not a problem as it was a spur of the moment booking for 1 night as we hired a car from Palma Nova, where we are staying and decided to try somewhere different. Hotel we ended up in was nice. Play area or Indore activities specially for kids. The fee WiFi signal in the rooms needs to be improved as connections dropped. The television channels were mainly in German or Spanish. We would have liked a few more children and general entertainment channels in English (we had only news channels), though we do not watch much television while on holiday. The pillows were like stones, I had to sleep with a towel as a pillow. Pool.park and right on the beach front. No fresh juice at the breakfast (understandalbe considering the size of the hotel). Just small hint for improvement: water in indoor pool could be a little bit warmer in autumn/winter period.